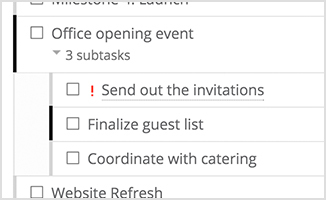 Employees can waste a lot of time coordinating to-do lists when they’re stored in different apps and emails. 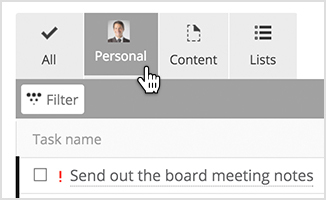 Igloo’s task management features streamline personal, project, or document-specific tasks. Keep track of everything on your plate in one place, boosting productivity with every box you check. 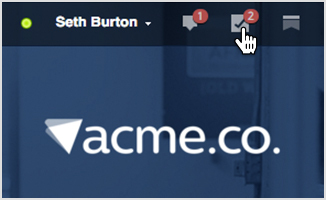 Get notified when you receive a task or the status changes. And, the user bar keeps a handy running total of all the tasks assigned to you. 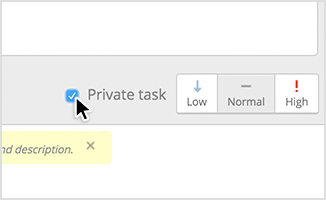 Mark a task as private, and only you and the person it’s assigned to can see it. Keep your personal tasks (like booking travel, meeting clients, and filing expenses) private and separate from company tasks. Make big projects more manageable by creating subtasks for yourself, or distribute them among team members.